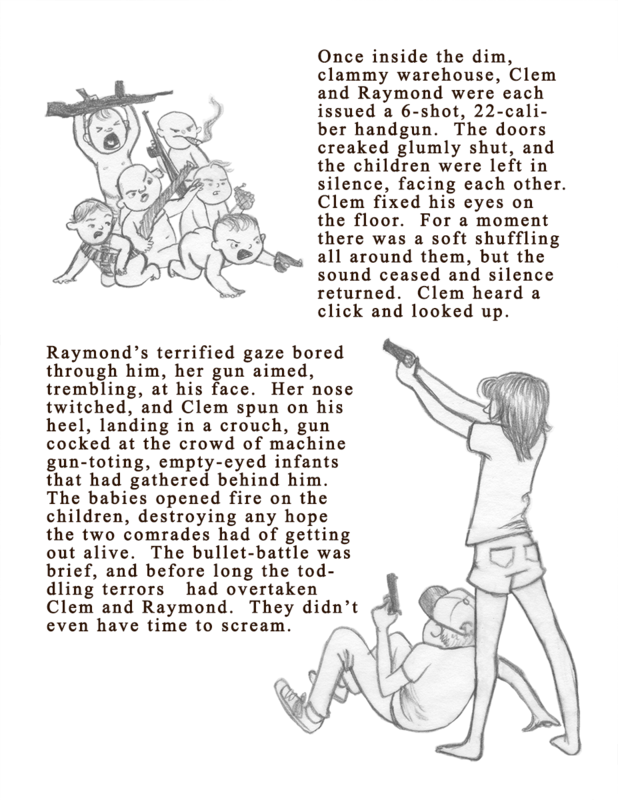 A few years ago, I wrote a short, very strange story about two kids as a way to get my creative wiggles out. Most of it is absolute nonsense, but there is one passage that imparts a mental image that I enjoy (for reasons I am afraid to explore). Anyway, here it is with some spot illustrations I drew today.